How much will Molesworth cost? The Department of Conservation is consulting on the Molesworth Station management plan. Molesworth is an iconic high-country station. It is owned by the public of New Zealand and managed by DOC on your behalf. The Station became a recreation reserve in 2005. It has many values, including heritage, conservation, cultural and recreation. Molesworth is currently managed as a working high-country station through a farming lease and grazing licence to Landcorp. The farming lease expires in 2020. A management plan for Molesworth was approved in 2013. Its intention was to transition Molesworth from its traditional focus on farming to include more recreation and conservation activities. The plan puts restrictions on public access in order to meet farming requirements. It may be necessary to manage recreational activity to protect conservation goals for natural, cultural and historic reasons, and to protect the recreational experience of other users. DOC sees potential in working collaboratively with others on landscape-scale restoration in Molesworth. It is a biodiversity hotspot for a wide range of dryland animal and plant species. It also faces challenges from pests and significant weed problems such as wilding conifers. . .
We were on Molesworth a few years ago and horrified by the spread of wilding pines. The spread of hieracium was also a visible problem. future opportunities or improvements to the way Molesworth is managed. Molesworth’s values include heritage, conservation, cultural and recreation. Farming fits with heritage, conservation and cultural values and doesn’t have to exclude recreation. It also generates income, although that doesn’t mean it makes a profit for either Landcorp which leases the property, or DOC. Profit, or loss, is something which isn’t addressed in the survey. What will implementing the plan for Molesworth cost and who will pay for it? Recreation and conservation values are important but how much income, if any, will they generate? Grazing helps curb weeds and farm staff can help control rabbits, possums and other pests which threaten native flora and fauna as part of their daily work. If conservation and recreation replace farming, there won’t be an automatic return to nature as it was before the settlers came. Introduced weeds and pests will flourish with no stock and farm workers to control them. 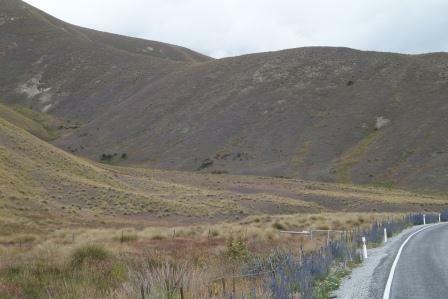 The tussock has been disappearing from the top of the Lindis Pass since DOC took over the management land after the farm released it under tenure review. That is because hieracium is flourishing as fertility drops and no stock graze it before seed heads form. Without a comprehensive, and expensive, weed control plan, Molesworth will face a similar issue with introduced weeds. Another potential problem is an increase in the risk of fire with growth uncontrolled by stock and more recreational visitors. Molesworth is considered an iconic high country station. Farming doesn’t have to be inconsistent with recreation and conservation. Furthermore it could generate income to offset some of the costs, lessen the fire danger and contribute more to weed and pest control. If winter’s here . . .
. . . where has spring gone? We spent the weekend in Wanaka. It rained most of Saturday. The cloud lifted during the afternoon to give us a view of the fresh snow about half way down the mountains which frame the lake. Permission to ask yet again why the clocks go forward for daylight saving in late September? Royal Forest & Bird Protection Society took corporate farmer Five Farms and the Waitaki District Council to court for a judicial review of the council’s granting “conditional certificates of compliance” to high country farming operations. The practice allows farmers to avoid requiring a resource consent to develop their land, but with restrictions on native vegetation clearance. The WDC case involves farmland also designated as part of the WDC’s scenic rural zone. Planned arable cropping in the area did constitute native vegetation clearance, Justice Christine French ruled. She agreed, as did all counsel, that native vegetation in the dry Waitaki Valley environment would disappear within a year or two, if not months, once an area became irrigated. But the WDC’s rules did not specifically nominate irrigation as a cause of native vegetation clearance. Whether irrigated or not farming will have an impact on the land. But what would happen if the area wasn’t farmed at all? Nature isn’t static. Not far from this area is the Linids Pass scenic reserve. The glorious golden tussocks thrived there when the land owned by farmers who grazed and top dressed it. Now it is under DOC control and has no stock or fertiliser the tussock is disappearing. It might be replaced by whatever was there before it was farmed in time – but at the moment it looks like the only thing growing is hieracium. Where has all the tussock gone? A couple of years ago I asked where had the tussock gone? There is even less tussock on the hills at the summit of the Lindis Pass now. This land has been returned to the crown under tenure review and is managed by DOC. 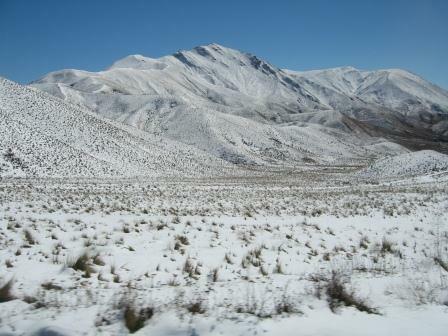 The aim of the Lindis Pass Conservation Trust is to rid Lindis Pass Reserve of weeds, so that the snow tussock (Chionochloa rigida) can be enjoyed in its full glory. When it was farmed it was covered in tussock, now as these photos show it is not. Is it an accident or deliberate? Could the lack of stock and fertiliser have let hieracium and other weeds crowd out the tussock? Does it mean that some of this sensitve land is really better farmed than not? 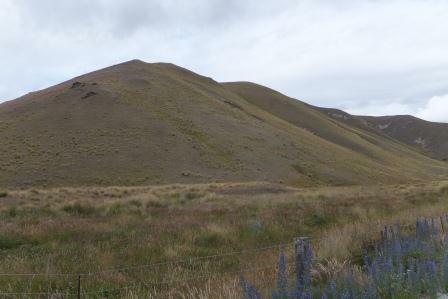 What’s going to save the hills from erosion by wind, rain and snow now the tussock cover has gone? 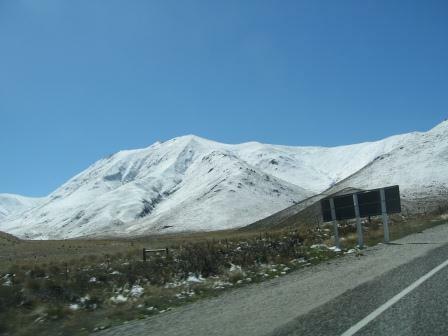 The Lindis Pass, between Omarama and Tarras, is one of my favourite drives and one family and friends do often. When you know the road well you can get a bit complacent. Driver error appears to be a factor in the fatal head-on collision in the Lindis Pass on Thursday. . .
A crash investigator’s analysis of the accident scene had determined the rental car had crossed the centre line of the road, Sgt Williams said. “The collision was a result of the vehicle hitting gravel on the left-hand side of the road on a corner, before veering across the centre line,” he said. One person dead and three more, including a pregnant woman, seriously injured is a very serious reminder that there is no place for complacency on the road, no matter how well you know it.